Echo Park is one of the best neighborhoods in Los Angeles. Echo Park borders Silver Lake, Chinatown and Downtown Los Angeles. It occupies 2.4 square miles of Central Los Angeles, with Echo Park Lake sitting in the middle. It has a population of 40,455 people (this makes about 17,000 people per square mile, nearly as dense as San Francisco). Recent changes in Echo Park have reached a cultural "tipping point" as a new wave of upscale destinations opens their doors. Home shoppers, looking for reasonable home prices, an authentic lifestyle, and big-city amenities are drawn to the area. Census data shows a gradual change in income and education levels; they are slowly shifting upward. Echo Park is also one of Los Angeles' first neighborhoods. Starting in the mid 19th century, L.A. grew in concentric circles from Downtown outward. Echo Park’s proximity to Downtown puts is roughly one rung away from the epicenter of the city's outwardly-expanding bullseye pattern. Planning to move to here? Search all Echo Park homes for sale. Echo Park Lake was originally a water reservoir built by the City of Los Angeles in 1870 to supply drinking water to the city. 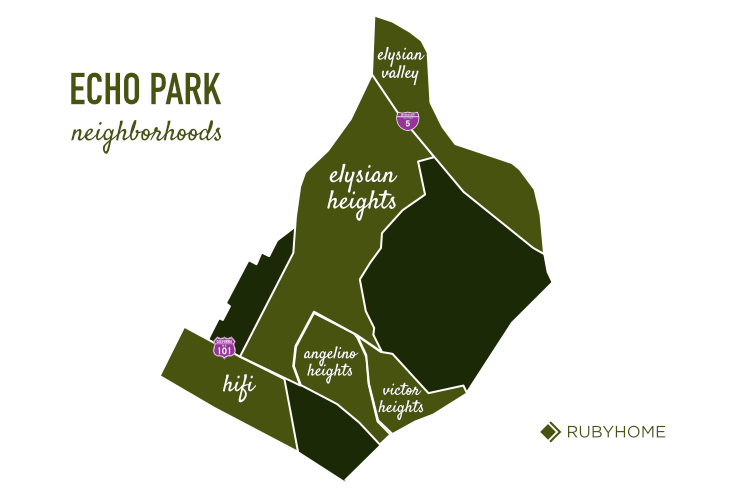 By 1892, it was declared a park and the Echo Park ‘suburb’ grew up around it. Given today’s massive size of Los Angeles, calling the district a suburb anymore would be a rather quaint notion. In 1934, during the Great Depression when civic-minded art projects were in vogue, an Art Deco statue “Nuestra Reina de Los Angeles" (a.k.a Queen of the Angeles) was erected on the northern shore of the lake. More recently (2011 to 2013), the park underwent a two-year renovation. The rebuilt and revised boathouse is a great breakfast “pit stop” for visitors who stroll around the park's paths, swim in the pool or pedal boat across the lake. Visitors also enjoy the canoes, tennis, fishing, and gazing at the flowering lotus garden. 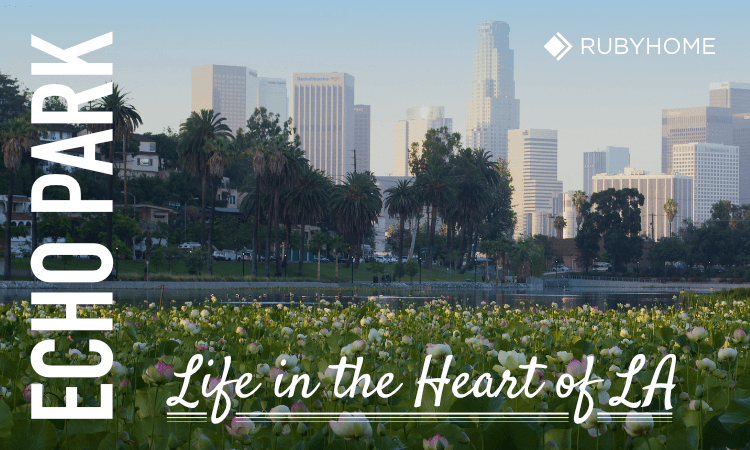 The south shore of the lake is a family-friendly destination, with its beautiful Downtown LA skyline in the background. Check out the Echo Park Recreation Center, home to many community programs, a Youth Center, and the outdoor tennis courts. Each year, L.A. Parks and Recreation puts on an Annual Lotus Festival. Elysian Park (1886) is the city’s oldest park and second largest (600 acres). 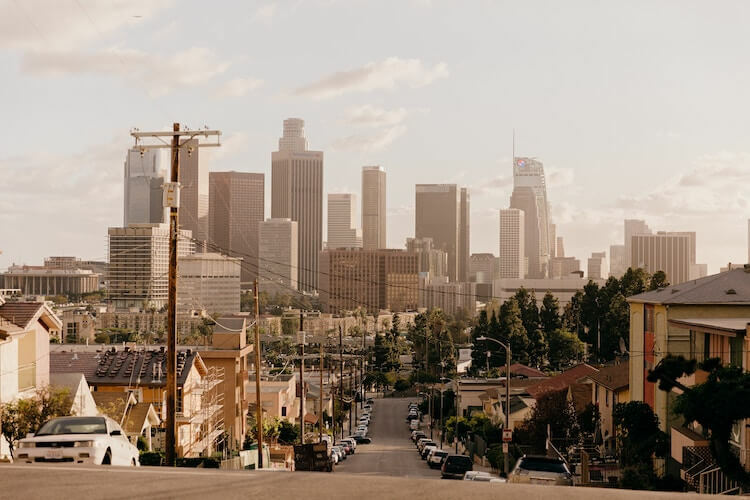 Folks living on Los Angeles’ Eastside take advantage of its hiking trails, many of which lead to killer vista points of Downtown and the L.A. Basin. The park is a great place to relax and enjoy tall palm trees, wildflowers and some of the best views of the DTLA skyline and Dodger Stadium. You may even spot a Coyote! 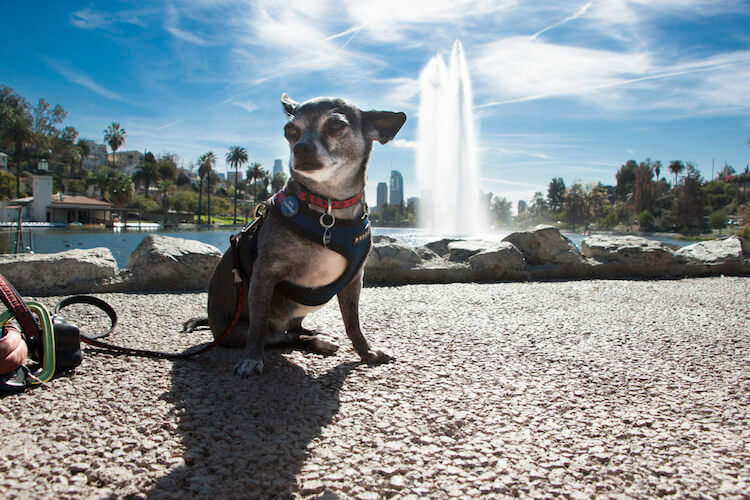 Popular activities here include hiking, jogging and dog walking (leash required) around the Elysian Park Trail. Parking is easy and free. Locals love it! If your idea of a good time is getting a good cardio workout, you’ll love Baxter Stairs. 233 steps ascend a 108-foot elevation gain. 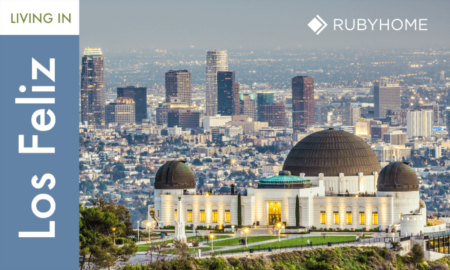 At the top, you can catch views of the Hollywood Sign, Griffith Observatory, and Downtown Los Angeles. This is an excellent spot to watch sunsets. Need to stock up on fresh produce? 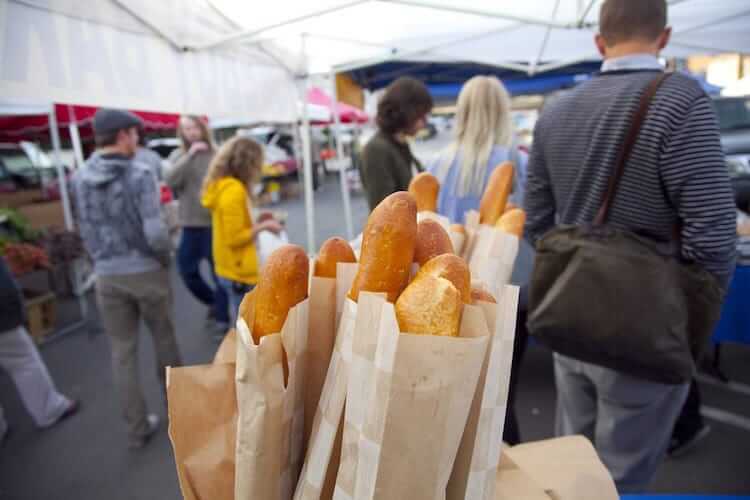 The Echo Park Farmers Market is a certified farmers’ market operates every Friday from 3:00 pm to 7:30 pm, rain or shine. It’s also a great place to pick up fresh flowers, soaps, candles, jewelry, and cheese. If you need a quick snack, check out the food vendors and grab yourself a gourmet tamale, taco, burger, sushi roll, or even some vegan Korean cuisine. The Los Angeles Public Library (LAPL) operates three branches right at the edges of Echo Park’s borders: Echo Park, Edendale and Chinatown Branch Libraries. Each branch conducts events and activities like children's reading time, poetry workshops, and book clubs. The Edendale Branch even offers free introductory yoga classes! How eclectic. One could call Echo Park could the Greenwich Village of Los Angeles; it's been one of the city's hippest neighborhoods for a very long time. Sunset Boulevard is the main thoroughfare and commercial artery that runs through the neighborhood. 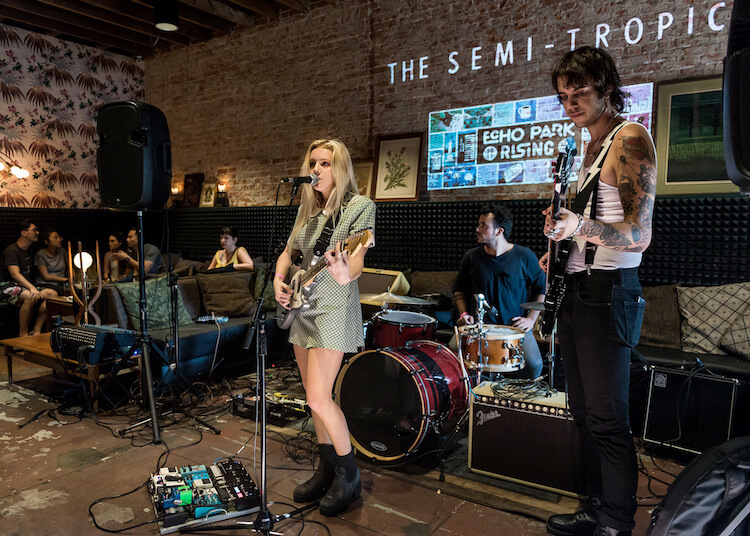 Along the boulevard and its side streets, you’ll find a longtime bastion of the indie music scene in L.A. (punk, rock, alternative, you name it). Echo Park is home to some of our favorite music venues. Clubs draw crowds supporting local acts as well as touring national acts. Even the Rolling Stones (in recent years) have played here. Local music venue, Echo & Echoplex, has been part of the vibrant music scene here for many years; a place that and has helped launch the careers of many notable artists such as Foster the People, Beck, and Incubus. New clubs and bars continue to pop up, further enriching the area’s nightlife. While Echo Park is a mainstay of everything cool, you could call this part of town “trendy” as it continues to age rather gracefully. Most of the bars, cafes, shops, and boutiques also line the ever-busy Sunset Boulevard. Keep your eyes peeled for the late-night taco and gourmet food trucks that line the curb. Since 1962, Dodger Stadium has been home to Major League Baseball in Los Angeles. During baseball season, expect a lot of traffic near the field on game days. A line of cars builds on Sunset Boulevard near the stadium entrance at Vin Scully Way. If you’re not going to a game but need to move through the area, you still might want to say on the surface streets. Getting on the 101 Freeway during rush hour is a risky proposition, even when the Dodgers are playing at home. Ever ask yourself where to live in Echo Park? There are five major districts the comprise the neighborhood, each with its own history, architecture, and charm. Angelino Heights is best known for its Victorian-era homes and panoramic views of the DTLA skyline. Known as the ‘first suburb’ of Los Angeles, the hilltop neighborhood attracted the city’s well-to-do residents of the and late 19th century who built large, ornate homes here. Bunker Hill, in Downtown, was the first wealthy neighborhood in the city. Thus, the development of Angelino Heights (two miles north of DTLA) became the first suburb (also inhabited by the city’s elite). Even residents of more modest means could mail-order a kit home (a.k.a. “plan book” house), a smaller, more affordable Queen Anne cottage. Carroll Street sports the highest concentration of Victorian homes, many in Queen Anne and Eastlake styles. In 1983, the City of Los Angeles declared the neighborhood a Historic Preservation Overlay Zone (HPOZ) and an entire block of Angelino Heights was listed in the National Register of Historic Places. Fittingly, as the first suburb of the city, Angelino Heights was the first named HPOZ. The L.A. 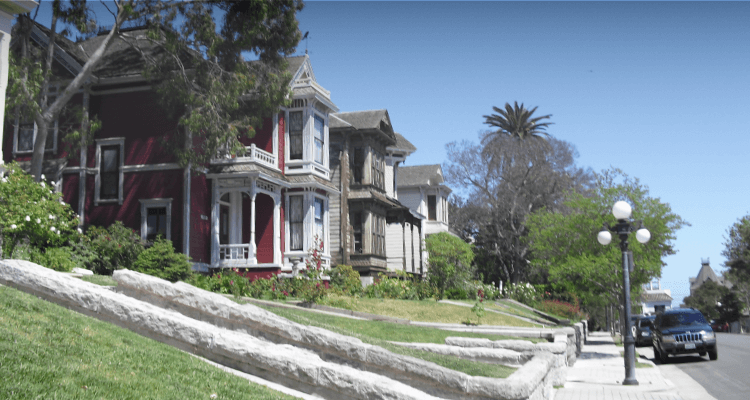 Conservancy puts on the Angelino Heights Walking Tour each Saturday. Reservations are required, and tours operate rain or shine. For those who prefer different architectural styles than Victorian will be pleased to know that the Echo Park neighborhood is also packed with Art Deco, Craftsman, and Period Revival homes. Check out the beautiful, historic homes for sale in Angelino Heights. 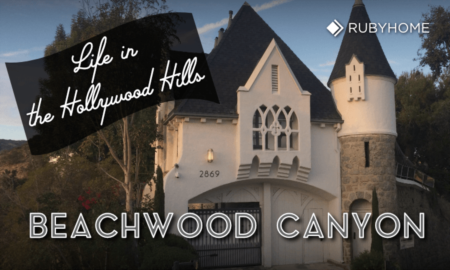 Elysian Heights occupies the undulating terrain between Glendale Boulevard and Elysian Park. The neighborhood is capped by the I-5 Freeway to the north and 101 Freeway to the south. This neighborhood of Echo Park is a longtime bastion of counterculture and home to political activism and people who might self-identify as architects, artists, filmmakers, or writers (or all four). It’s the edgy urban vibe, coffee houses, and nightclubs along Sunset Boulevard that makes hipsters feel right at home here. The food scene honors chefs who are inventive and artisanal above all else. At the low point of the neighborhood sits Echo Park Lake, home of the Echo Park Recreation Center and fun activities like pedal boats and playgrounds. Walking paths and outdoor fitness equipment are perfect for a sunny day workout. The rec center has a myriad of youth and adult sports programs. Dragon boat races are held on the lake each year during the annual Lotus Festival put on by the Parks & Recreation Department. Cozy Houses perched high up the slopes get stellar panoramic views from Downtown across the L.A. Basin. Home shoppers will find turn-of-the-century Craftsman homes and 1920s Mediterranean, Spanish Colonial or Revival-style Bungalows. From the late 1930s, early Modern styles began to appear on the scene. Construction of Mid Century Modern style homes continued throughout the 1950s. Click here to search homes for sale in Elysian Heights. Elysian Valley (a.k.a. Frogtown) is a peapod-shaped strip of land in Central Los Angeles. Depending upon whom you ask, it’s either a district of Echo Park or Northeast Los Angeles. And, frankly, it doesn’t matter; because of its geographic isolation (explained below), the neighborhood has a distinct vibe that stands on its own. Because of its funky shape, the Frogtown has two long borders; the Los Angeles River on one side and the Interstate 5 Freeway on the other. That makes Elysian Valley – for all intents and purposes – an island. A scant 0.79-square-miles in size, it’s a small island at that. With few services (e.g., no grocery stores and only a handful of cafes) denizens carry an undeniably scruffy, DIY attitude. Living here means your favorite local restaurant might be the guy down the street selling tacos in his front yard. At the north end of this Echo Park neighborhood sits Lewis McAdams Riverfront Park as well as the Marsh Street Skate and Marsh Street Nature Park. These conjoined parks provide one of the area’s access points to the Los Angeles River Greenway Trail, a concrete path perfect for walking, jogging, or cycling. Elysian Valley is also one of only two L.A. River Recreation Zones along the L.A. River that allows portage for steerable, non-motorized boats (kayaks or canoes). Sorry, no inner tubes. The bulk of the housing stock in this Echo Park community consists of one-story, single family homes. Home prices are moderate, pretty much in-line with the Los Angeles County average. Older, unkept homes that go up for sale tend to get snapped up by folks with housing rehab who turn them into charming abodes. Click here to search homes for sale in Elysian Valley. Historic Filipinotown is Echo Park’s southernmost district. It sits southwest of the Echo Park lake, just beyond the 101 Freeway. Before the construction of ‘The 101' in the 1950s, HiFi was an entirely connected part of the adjacent Echo Park neighborhood and had no separate, official identity. It remained so for decades. That changed in 2002 when then-city councilman Eric Garcetti suggested a new, official name for the district that would reflect its history and unique character. By resolution, the L.A. City Council officially designated the name "Historic Filipinotown." But it's more than just a name; the designation carries political capital since it became the city's Thirteenth District. Filipino families settled and lived here starting in the early 20th century, in varying concentrations. Today, HiFi is ethnically diverse and home to roughly 10,000 of Filipinos out of the 600,000 that reside in the Greater Los Angeles area. If you’re Filipino and live in L.A., there’s a good chance you can trace your family roots to the district. The neighborhood is known for the friendliness of its residents. The area is often scouted by house hunters looking for an affordable home that is centrally located in the city. What they'll find is an eclectic mashup of architectural styles, mostly Craftsman Bungalows and occasional Victorian houses. Multi-family homes (income properties) are plentiful. Click here to search Historic Filipinotown real estate. Victor Heights (a.k.a. The Forgotten Edge) is a small neighborhood on a hill right above Downtown Los Angeles, sandwiched between Angelino Heights and Chinatown. Its northern border abuts the ground of Dodger Stadium, and its southern boundary touches Sunset Boulevard. Once considered a sleepy neighborhood with little to offer, young professionals now scour Victor Heights looking for a place to call home. There is no grocery store or local watering hole within its borders – the nearest amenities line its southern boundary, Sunset Boulevard. For the most part, routine errands like grocery shopping require a trip to a nearby neighborhood. Like nearby Angelino Heights, homes and condos perched on the slopes of Victor heights have front row views to the DTLA skyline. The housing stock here is a mix of stuccoed apartments and small single-family homes, typically bungalow or Spanish-style. More recently, new construction of condos and townhomes has picked up – a spillover effect of the massive rejuvenation efforts taking place Downtown. The appeal of living within the core of a major metropolis is making a comeback. Click here see all the homes for sale in Victor Heights. Be sure to check out all the latest Echo Park real estate listings. Echo Park is a study in contrasts: while known for being culturally forward and perpetually young at heart, it is at the same time one of the oldest neighborhoods in Los Angeles. A day of adventure could include wandering its enclaves, admiring classic Victorian-era homes and then catching a cutting edge band later that evening. Echo Park, as a whole, strikes a balance of grace and grit.